Nice ^^ The background is simply awesome! This looks much beta than ur sasuke wall which show u're improving!!!!!!!! Quote by kyubinarutoNice ^^ The background is simply awesome! This looks much beta than ur sasuke wall which show u're improving!!!!!!!! Wow! This looks great! The background looks really neat! Personally, I think that the suitable bg for Yondaime would be something with a connection to wind since he uses wind jutsu's and all but this fiery backgound looks wonderful! it shows his personality don't u think? The background simply red and cool. 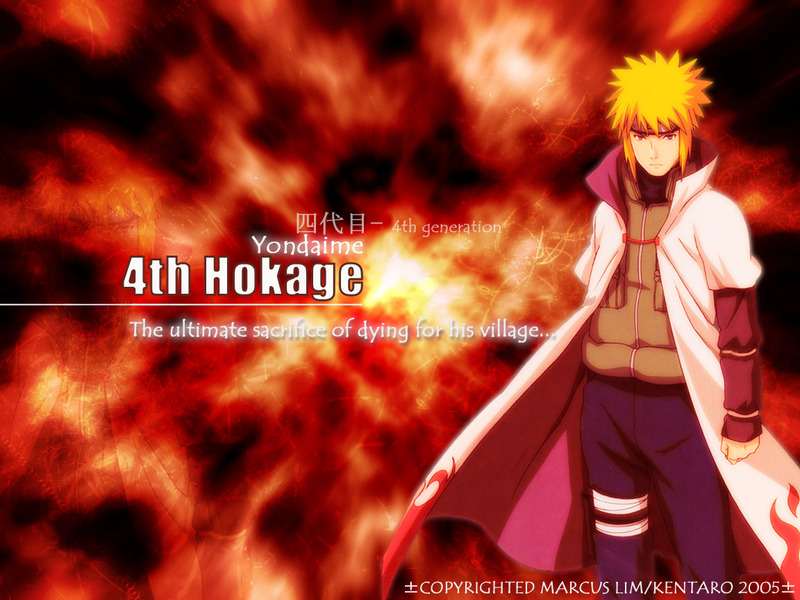 Cool wallpaper of the 4th Hokage. He looks really cool. The background and firey color looks cool. The wall is really nice... The colour is bold and matching. I really like it!